Did you know that spending time in an outdoor living space can be good for you! Regularly enjoying Al-fresco relaxation improves our overall mood and can be good for health. On average we spend too much of our life indoors, and as we get older we become less inclined to venture out. Adding a garden leisure feature, such as an outdoor-living glass veranda or glass room, home owners will naturally spend much more time outside. Not only about fresh air, the sun is a natural source of vitamin D, and when we enjoy time outdoors we can soak it up. Spending quality time in your garden environment can combat stress and depression and have you feeling happier almost instantly. Physically, an outdoor living and entertaining space helps get people moving around and exercising a little more, often without them even noticing. But it can offer mental health benefits too. Ecotherapy encompasses a wide range of outdoor activities connecting with nature, whether it be spending time in the garden or the wilderness. By concept it is based on exposure to nature improving our well-being, with regular exposure even increasing life-span. Connecting with nature can have lots of positive health benefits, making more regular use of your garden can see an increase in both physical and mental health, this including an improvement in sleeping habits and better anxiety control. There are countless benefits to enjoying time outdoors, dining Al-fresco, eating barbecue cooked food from your outdoor kitchen, and unwinding with a view of your garden. 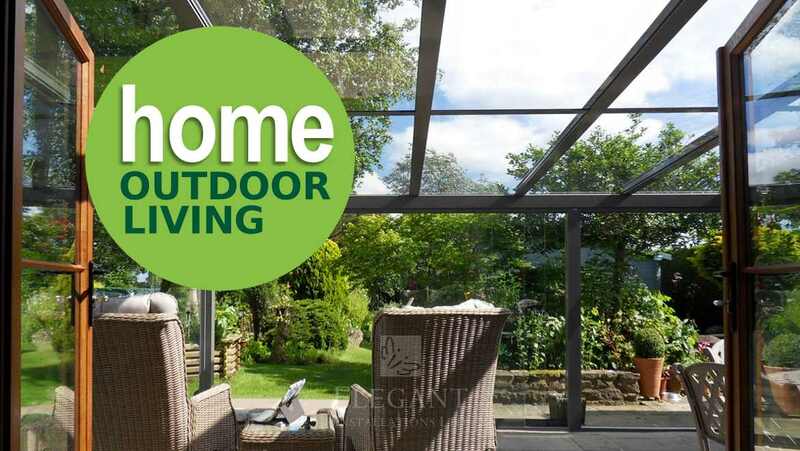 With a glass veranda from Elegant you’ll soon be adding more sunlight and more of the healthy outdoors to your lifestyle! Glass Verandas and Garden Rooms make the ideal showpiece for your home. Bespoke made to order, fully installed for spring, a competitive quotation is free quick & easy to arrange. Look no further than your garden for an ideal getaway this summer, with outdoor living from Elegant transforming your patio into an oasis of relaxed tranquility. 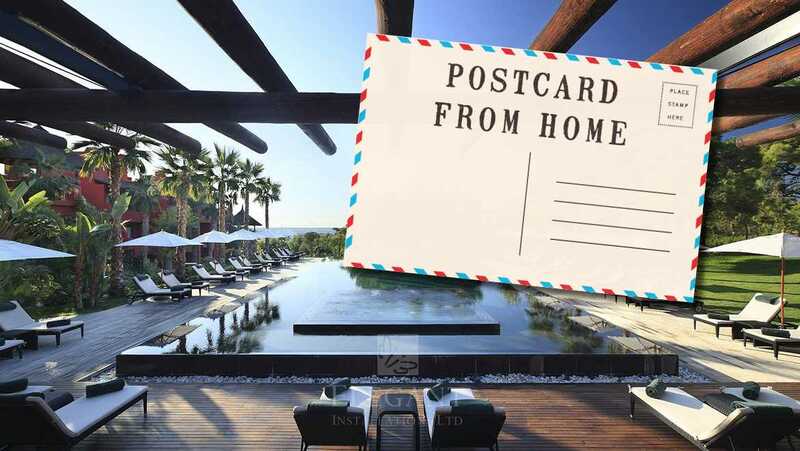 Using beautiful yet functional materials, our innovative products open up the possibilities – creating contemporary outdoor living spaces to perfectly suit your lifestyle. 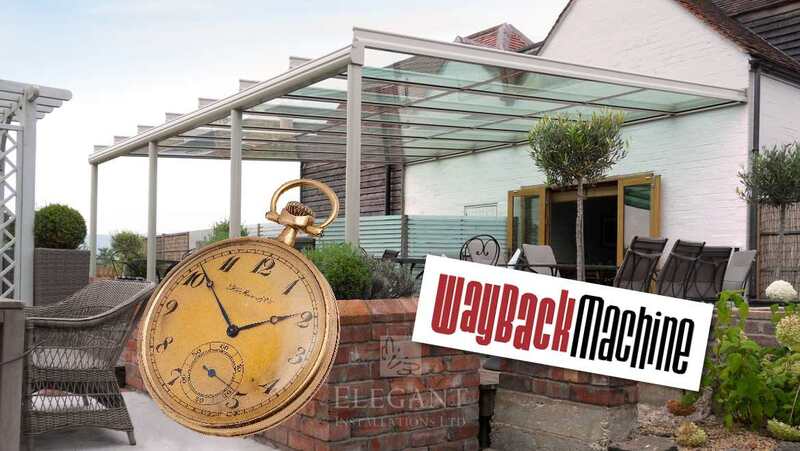 Elegant Bespoke Verandas make the ultimate patio canopy, a modern glass patio roof providing year round protection and enjoyment. While our stunning Glass Rooms include sliding glass doors to protect from the sides retaining a frameless clear view of your garden. Just like any other part of the house, outdoor living provides another option for spending time at home. However big or small your outside space, and whatever your taste and budget, Elegant are experts at designing Alfresco situations, whether for enjoying a quiet pm drink, maybe somewhere comfortable to lounge, or perhaps an area that will accommodate the whole family for barbecues. Added home living space is what we offer – with the emphasis on “living”. 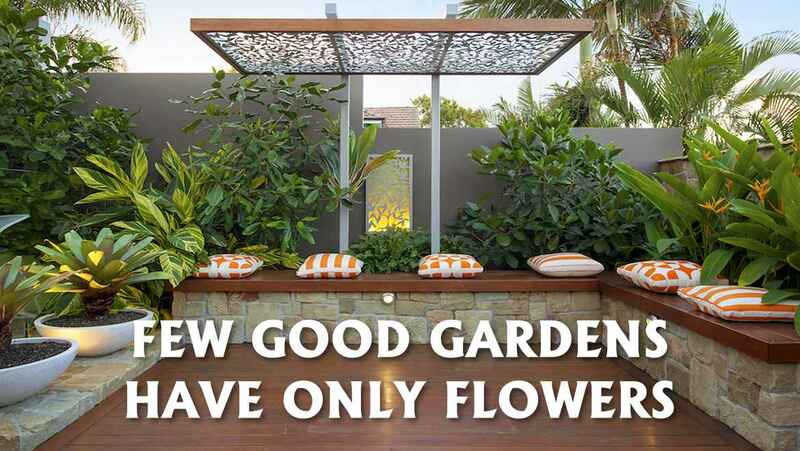 Very much in vogue, the increasing emphasis on outdoor relaxation and entertaining has generated a boom in interest for our quality garden structures. Weather sheltering havens providing protection from the elements, creating a better protected environment in which to relax and enjoy Alfresco. Yes, it’s more sophisticated than garden living in the past, but don’t think for one moment that you’ll lose any of the old charm or simple pleasures – the reality is that you’ll get to enjoy it more! Here’s to extending the summer season in 2018, call us on 0800 078 7247. 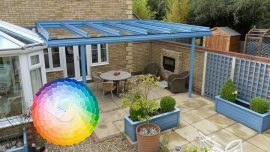 Helping homeowners to make the most of their outdoor living space we look at where we have come from and where this so very popular UK patio roof market all began. Elegant have been around from the beginning. Any firm can easily ‘claim’ experience or history with a product, within a market, but the Internet Archive (the “WayBack Machine”) will readily spill the beans! Paste our address www.glass-verandas.co.uk into the search box at https://web.archive.org and you’ll see our old website from March 2009. We started on the veranda concept back in 2008 and launched our site by the following spring. Back then we were on http: not https:, but typing the www. of any company will quickly pull their web history for all to see – albeit not perfectly working as it did. Simply select a year, and click the coloured dots, to view any website at that date – instantly proving length of service and showing what products were offered at that time. It even stores old sites which no longer exist. Looking at our website from a decade ago I see that our glass verandas aplenty but I see that glass rooms didn’t feature much in those very early days. The built-in sun awning option, and spotlights, were the only two accessories that we offered (or promoted), and while side-screens get a small mention, it appears that any side glazing or sliding glass doors feature only in two small photos – very bottom of the Gallery. How things have changed! Gradually, some customers asked for a side glass wall, to block the breeze, or to help further enclose their space. Over time such requests grew, followed by customers wanting to add front doors, and hence our Glass Rooms market took shape! We added a page “glass rooms” to our website in 2010, helping to spearhead the modern movement, and today I can say that Glass Rooms equal our Veranda enquiries. Uncertain of how to label this room product, at first I wanted to call it a “Patio Solarium”. This looked good to me until (once again) a genius named Greg showed the way, the term “Glass Rooms” sticking. Delightfully, the only still-existing original rival I can think of, a firm whom along with us at Elegant helped the Glass Verandas to market in those early days (a long standing company covering nationwide) I note that for a year prior to 2009 they were marketing glass veranda products as Smoking Shelters! I say that not to mock, not in any way. Fact is in those early days we few pioneers didn’t know what to call any of it… and we knew nothing of how popular it would all become! Don’t be fooled by January temperatures! If you’re planning a veranda to revamp your outdoor living, and want it ready for the season, it’s time to start the process now. Planning a glass veranda or garden glass room can take longer than expected. Here are a few tips to get you started, finding the right product ahead of the fast approaching season. Make research into the different types of veranda designs available, their pros and cons according to your requirement. For instance, is how it looks important to you? Looking closer at different brochures and websites, some brands have noticeably bulky front gutters, or broad/chunky legs, less appealing to the eye. Also look for colour variation. Do you see the same three colours repeated in photos – suggesting that design is less of a factor? At Elegant we make design and good looks a priority. Much can be gleaned taking a closer look at different companies photos, seeing the best of what they’ve done for other customers, whether their profiles look boxy or ‘elegant’ and if their output represents what you most want for own your home. While browsing inspirational photos look for ideas about layout and proportion, intended use and furniture plans, and at colour ideas (it needn’t be white even if your house windows are white). Look at what other people have done and why. When it comes to size, your house doors and windows will usually suggest a good width (it is rare a veranda stops part-way across a window). Desired furniture arrangements can suggest an outward size, modest table seating requiring 2.5m projection, while larger or generous outward sizes can be closer to 4m. Dry access is an essential consideration, looking at our veranda gallery you’ll see that every installation takes in a house door – allowing passage from the home without stepping into rain. 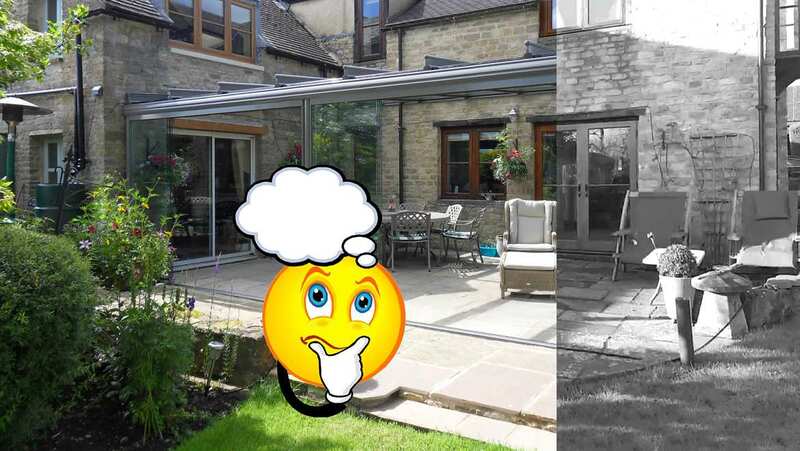 Browsing our ‘before-and-after’ examples (projects) notice how most glass verandas and glass rooms tend to be built over an existing patio table area, spanning existing patio doors. Popularly, they cover the previously established space for a garden table and chairs, whatever spot was already deemed convenient for patio seating and outdoor dining. It is rare that customers will define an all new site, away from the house, or relocate their al-fresco gathering area to another door window or wall. Improving the status quo tends to be more the theme, not changing the established familiar routine. Doing a little research before talking to companies can help you to speak the same language. And, when finally meeting a representative, having a better idea of what’s available and of what you want will help you to make more informed decisions. 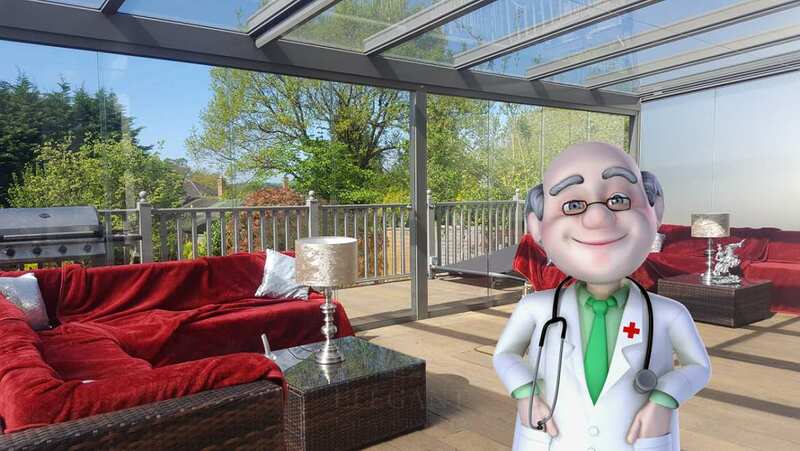 Glass Verandas add living space to your home and al-fresco luxury to your lifestyle, research shows 37% of British people spend more time in the garden than 5 years ago. We can all benefit from improving our home environment and the garden is no exception. Any garden can either be a sanctuary for outdoor living, or can look an afterthought, but what many don’t realise is that a well developed plot can add anywhere between 5-20% to the value of a property. Over the years, property seekers appetites for improved garden environments have surged with people now wanting an attractive outdoor space in which to relax and enjoy. Adding a simple decking area where people can eat al-fresco can add value, or more so, adding quality outdoor living structures such as our glass verandas or contemporary glass rooms. The great British summer of barbecues and gatherings will soon come around again, but is your garden up to the challenge? Traditionally, homeowners have tended to neglect gardens, focusing their time and energy on the interior first, but these days people are applying the same emphasis on outdoor living as they might their indoor space. A glass veranda or glass room can give your home a real edge, an added dimension that screams relaxation – modern outdoor living breathing new life into your home. Add space and value without breaking the bank, and make the most of your outdoors, maximising your property. Your house is doubtless your largest and most valuable asset so it pays to look after its position in the market. Adding an Elegant veranda, or Elegant glass room, as well as making your home more attractive and enjoyable during your stay, it is well established that any additional living space can help increase a properties value – should you ever come to sell. Fire pits may be all the fashion right now but let’s not forget about chimeneas – the original patio fireplace. Outdoor heating that’s a fun veranda accessory as autumn approaches. Our customer Mr Spedding, in Surrey, highly recommends his chimenea. 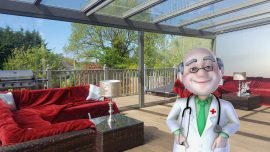 He loves his new Elegant glass veranda, of course, and on being invited to visit him after installation we learned some useful advice about how he heats his terrace during frequent garden parties – outdoor entertaining his friends and neighbours late into the evenings. The glass veranda in point is featured in the photo above, a contemporary gunmetal gray replacing Mr Spedding’s previous wooden structure. The new veranda installation even includes a drinks fridge – plus his faithful chimenea sitting center stage. Clay models have the best combustion and will burn fuel to a fine ash. 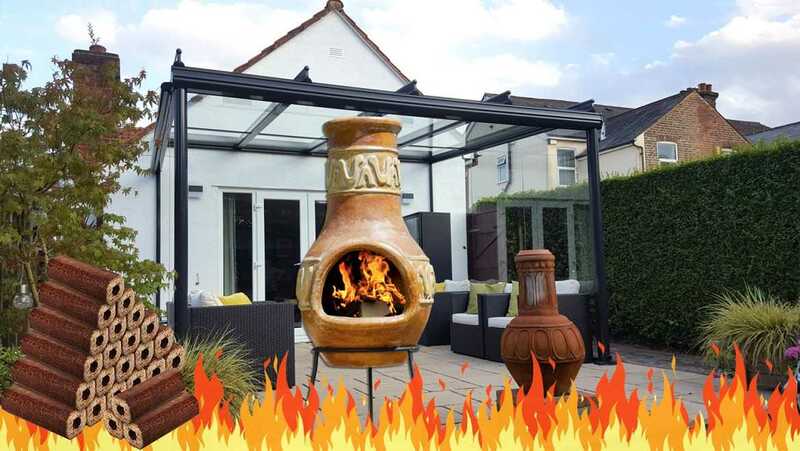 Place outside of the glass veranda – you’ll feel the heat just fine, and be sure to pour a few inches of sand in the bottom of the chimenea before adding fuel. A sand bed protects the clay from cracking and should remain in place. Mr Spedding, Derek, recommended Heat Logs for fuel – widely available including online order from Amazon or in DIY stores. Environmentally friendly heat logs are made up of wood from managed forests and recycled timber, cleverly compressed into handy logs. They are easy to light, they burn hot, are clean to handle and burn clean and smokeless – meaning guests won’t smell like a bonfire! Use only dry wood or heat logs, not coal or charcoal which burn too hot damaging the chimenea. When not in use apply the chimney lid, keeping rain out, and use a protective cover over winter. Avoid water logging the clay and don’t light your chiminea if noticeably water logged, allow it to dry out naturally under the veranda. Always note manufacturer advice and use common sense with children. 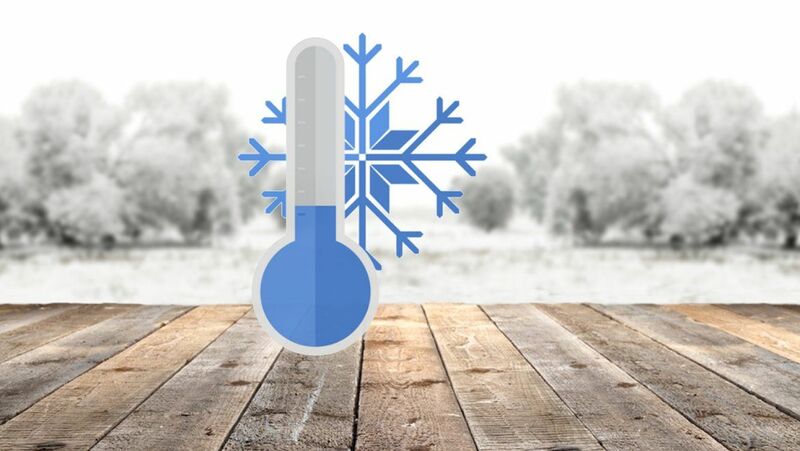 Derek says that just two or three heat logs are enough to warm your glass veranda and adjacent patio during an Alfresco drink or short barbecue, this costing just a couple of pounds. A very long evening might use ten or twelve logs, maybe £7 or £8, but it’s all good fun and your veranda party guests will love it. Historically made from fired clay the traditional Mexican chimenea dates back 400 years keeping families warm for hours burning only a few sticks. Originally used for both heating and cooking, outside and inside, they provided evening warmth and in the morning could be used for baking bread. Today they are purely terrace heaters and a quality model can last many years. Thanks Derek, we love outdoor living too! 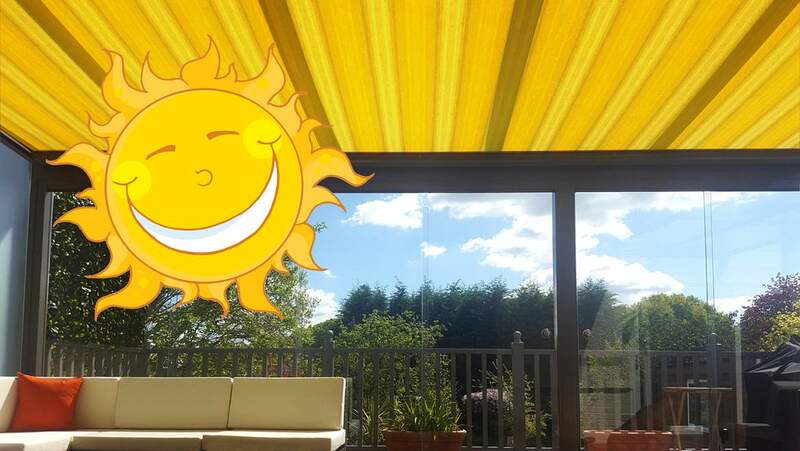 With summer in swing the demand is hotting up for our veranda sun blinds; patio roofs with a built-in sun awning and even vertical sun screens putting you in control. An integrated sun blind provides welcome shade below your glass veranda, invaluable during heat wave periods and comfortably controlling glare on sunny days. Virtually a complete patio awning, our built-in sun blind installs below your glass roof keeping it out of the weather and clean from debris or bird droppings. Operated by remote control, at the touch of a button the sun blind glides quietly and effortlessly and can be stopped part-way for partial shade. Options are plentiful to suit all tastes choosing from over 150 plain or patterned fabrics in a wide range of subtle or vibrant colours, including our Veil-Tex range allowing a veiled view through the blind. Choose between handset operation, wall switch, or fully automated action using a sun sensor! Advanced fabric technology ensures lasting good looks and the blind casing and hardware is beautifully made to blend with your glass veranda structure. With our modular concept, retro fitting is available so existing glass verandas can have this sun blind added subsequently. Contact Elegant to view the fabrics and receive a tailored quote. Glass patio roof canopies keep your patio dry from rain, but the benefits don’t stop there. Don’t under estimate the brilliant fair weather benefits of this addition to your home. Luxury when the sun shines, we cannot overstate the joy of warmer sun through the glass; making the milder UK climate feel like your holidays. As sunlight passes through the glass canopy its warmth intensifies, lending a more Mediterranean climate to your patio, this benefit greatly increased adding fixed glass walls or frameless glass doors. Glass sides cut the breeze and contain the warmth, while our slide away glass doors put you in even more control developing your patio roof into a complete sun room. Stepping out to your patio you can really feel the difference, an Alicante terrace you can holiday at home. On overcast days the warming continues, inviting you out when otherwise you’d feel housebound. Again, sides help this, containing a microclimate. UVB is dramatically filtered, you don’t burn through glass like you would on the open patio, while laminated glass significantly filters UVA too. Adding our built-in sun awning (housed below your patio roof glass) puts you in even more control; adjusting light levels and shade on sunnier days, and forming an insulative barrier for microclimate during evenings. The more you add to your patio roof the better it gets, although our modular design allows you to install the roof alone then add as little or as much as you desire over time. A super place to sit, enjoying a better, longer summer, protected from the elements with a clear open view of your garden. A glass patio roof offers a unique added option for enjoying your time at home… and we haven’t yet touched on the wet weather benefits! Spring is on the way, a very welcome arrival, and it’s at this time of year that interest grows in our glass verandas as we all start looking again at the patio and garden. Yes, temperatures are on the up! We should get into double figures most days now, and see more sunshine and blue skies. The daffodils are coming through and at Elegant we saw the first snowdrops while walking the dog in the local park. Everyone’s thoughts begin to turn to the garden and just how we’ll all be making best use of it. The first sweep of the patio, and general garden tidy up, rejuvenates interest in our outdoor space causing us all to think about clement seasons to come. 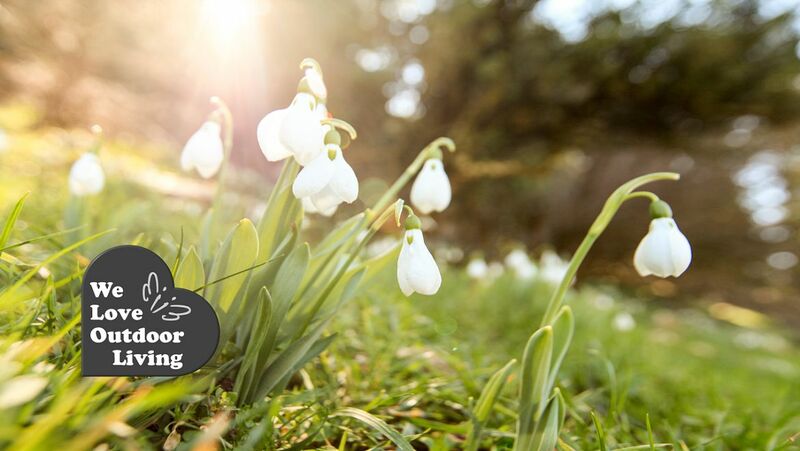 A few garden jobs can make a big difference at this time, including giving the lawn a cut, if the ground is firm enough, this sweeping away winter neglect and encouraging the start of lawn growth. But do be mindful of frost. It’s also a good time to tidy up the borders, giving them a light dig over – getting some air back into the soil. At home we are looking at the evergreens too, a light pruning tidy up before new growth begins; giving them a better shape to grow into. Beyond green fingers, its also time to plan our alfresco season! Has the barbecue survived? We all love an outdoor lifestyle, looking forward to summertime in the garden, and what every garden needs is a protected furnished space in which to really enjoy it. Early planning, getting a quotation at this stage, can avoid longer lead times and take advantage of off-season discounts and see your glass veranda or glass garden room installed for the very start of the season. January’s proved a challenge for even the hardiest veranda owner, with ice and frost a permanent garden feature. Although the benefits of our outdoor structures can still be found.